The previous display, pictured on the right, listed period names left-aligned in each column, with a “+” icon for adding a booking, right aligned on the same column. While this worked some users found it difficult to visualise the columns and consequently thought that “+” icon related to a different date. In this recent update we have centred the period label and removed the “+” icon. Now when you mouse over the period label it becomes a button “Make a booking”. We think this should make it more obvious for first timers while not inconveniencing regular users. You can now define which periods on your timetable are actually used for teaching, using the checkbox after the period description. Why would you want to do this? See the next change. Everything below here is enabled when the teaching periods are defined in your timetable. 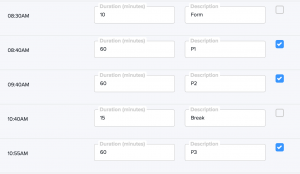 With the teaching periods defined your calendar view will automatically collapse to only show these teaching periods. (You may need to log off and log back in to see this). 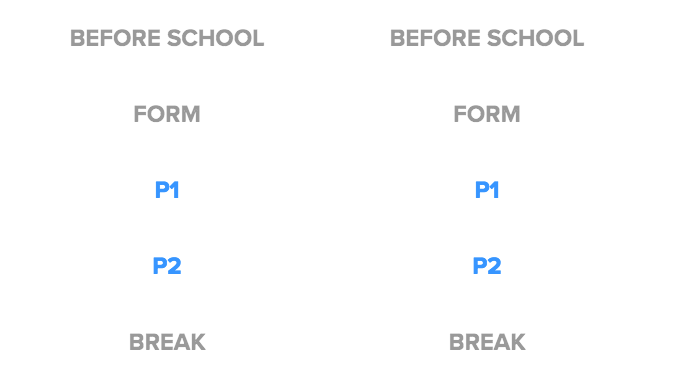 We have also added blue to these period labels, just those that are teaching periods. Why did we do this? We realised that for the most part staff are booking in these periods most of the time, and it is availability in these periods that are of most interest. With the new user interface the booking calendar has grown in size as we add more white space around the elements. While this is visually better it also implies more scrolling is necessary. The new collapsed view compensates nicely so that less scrolling is required. This does beg the question, how do we now book those non-teaching periods? We now have a Collapsed view, an Expanded view (similar to the original) and a Condensed view. The condensed view reduces the white space surrounding each item. 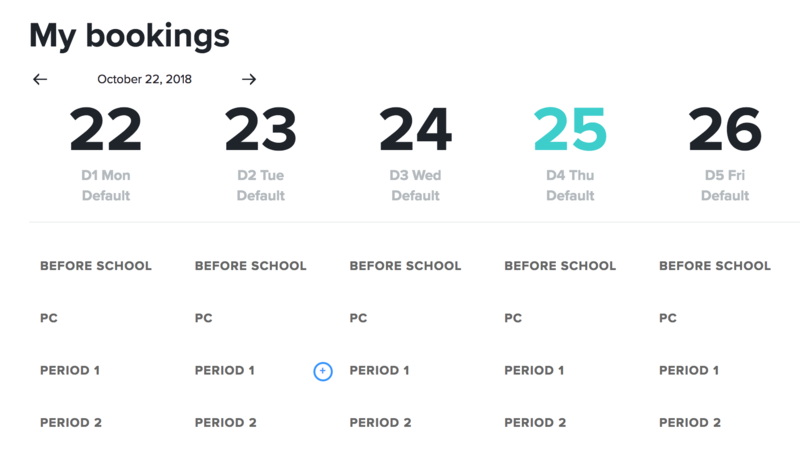 When you have defined teaching periods in your timetable and staff login they will automatically see the Collapsed view. If you don’t define teaching periods they will see the Expanded view. 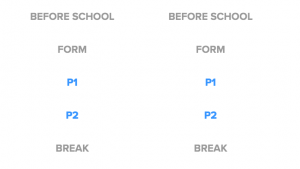 However these view buttons are only available when you have defined your teaching periods. 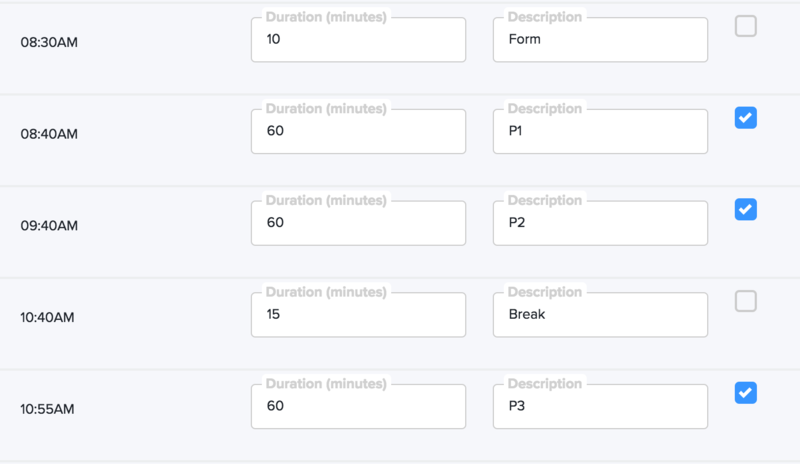 The Expanded view lists all periods from the timetable, however the teaching periods will have blue labels. We are anticipating most staff will use the Collapsed view, and on occasion the Expanded view. We’re not particularly keen on the Condensed view, however some people might prefer it. 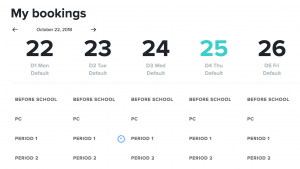 It is a common phrase that schools have been mentioning in relation to the new user interface, that is, it is harder with this new version to browse for resource availability. 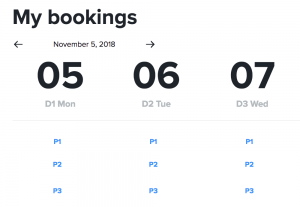 We are a little confused by this as staff generally wouldn’t be browsing for availability – they know which day and period they are wanting to book and then it is only a matter of identifying which resource are available. The best way to find availability is to click the ‘Make a booking’ button on the target period – then we list all available resources. If you are somebody who ‘browses for availability’ perhaps you could describe the task you are doing that requires you do visually browse the calendar looking for a particular resource – if we can understand what is required we may be able to provide a better option.